Also performing at The Big Picnic this year will be The Isley Brothers, on August 18, and 80s new-age band the Psychedelic Furs on August 4, who'll be joined by another 90s throwback, James. (Remember "Laid"?!) 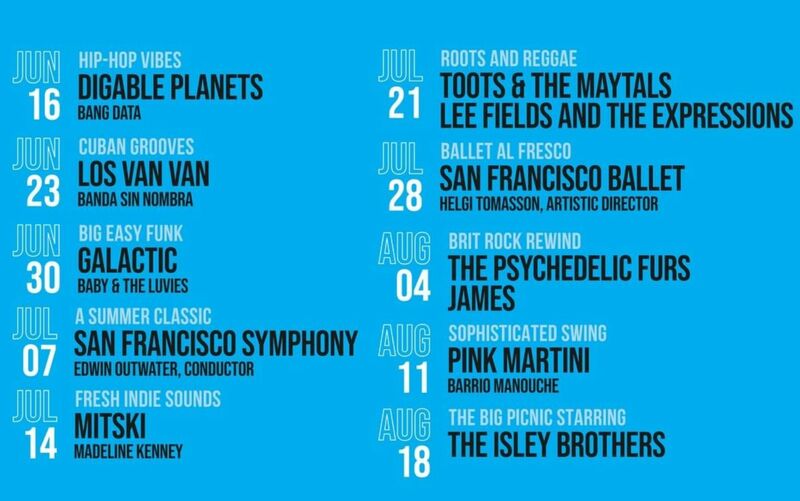 And I shouldn't neglect to mention Toots & The Maytals on July 21, and Galactic on June 30. Check out the full schedule below, and make picnic table reservations here, if you wish.